In his new book, On the Brink: Trump, Kim, and the Threat of Nuclear War, former Pentagon insider and Korean security expert Van Jackson analyzes the U.S. response to North Korea's increasing nuclear threat in the context of Trump's aggressive rhetoric, prior U.S. policy failures, the geopolitics of East Asia, and North Korean strategy, including the acceleration of its nuclear program under Kim Jong Un. He argues that the Trump Administration's policy of "maximum pressure" brought the world much closer to nuclear war than many realize, and charts a course for the prevention of future conflicts. 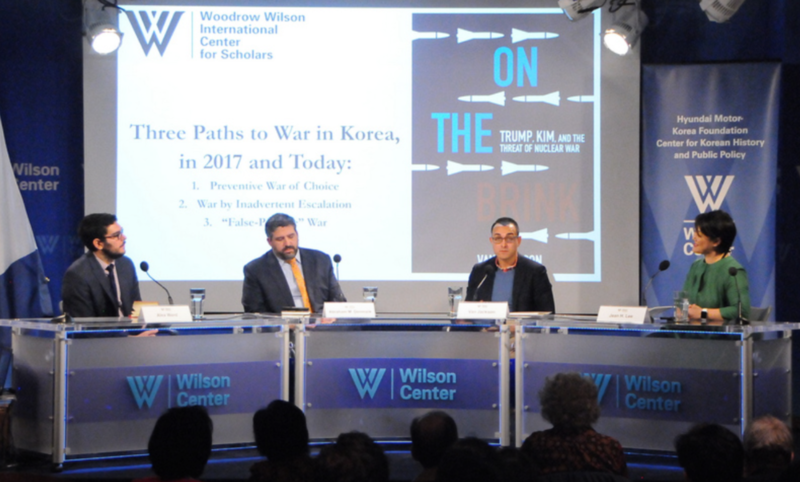 Wilson Center: North Korea Summit: Historic Deal or Just a Historic Handshake? With a handshake, U.S. President Donald Trump and North Korea’s Kim Jong Un made history, becoming the first sitting leaders of the Korean War foes to hold a summit. But was it just a photo op? 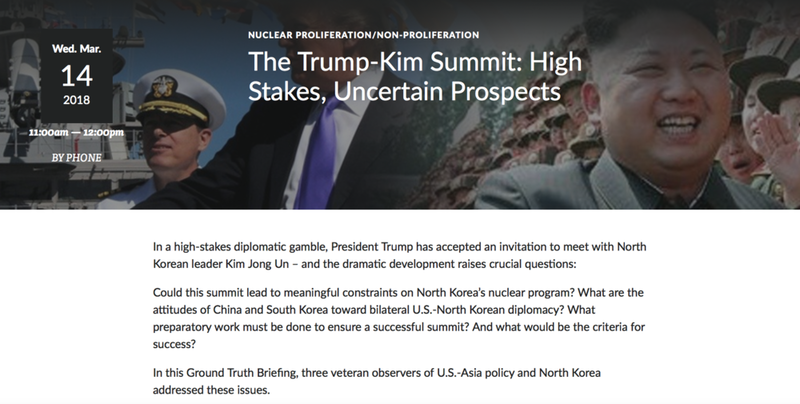 In this Ground Truth Briefing, Wilson Center experts considered whether the Singapore summit yielded real progress on denuclearization; the impact of these developments on U.S. diplomacy with other countries; China’s reaction; how the lives of average North Koreans could be affected; and what’s next in what President Trump calls “a new chapter” in U.S.-North Korea relations.